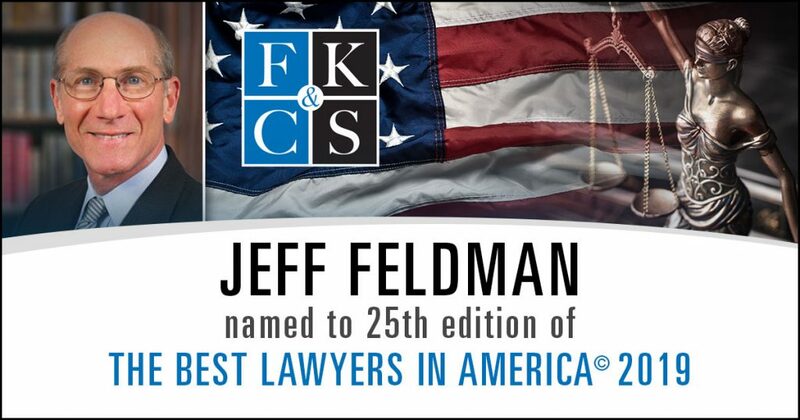 FISHKILL, NY, August 15, 2018 – Feldman, Kleidman, Coffey & Sappe LLP (FKC&S) a Fishkill, New York-based law firm with clients throughout the Hudson Valley and Capital District, has announced that Founding Partner Jeffrey M. Feldman has been selected by his peers for inclusion in the 25th Edition of The Best Lawyers in America© 2019 in the areas of Medical Malpractice Law – Defendants and Personal Injury Litigation – Defendants. Best Lawyers partners with U.S. News & World Report to rank law firms in the United States that have at least one attorney with a Best Lawyers distinction. 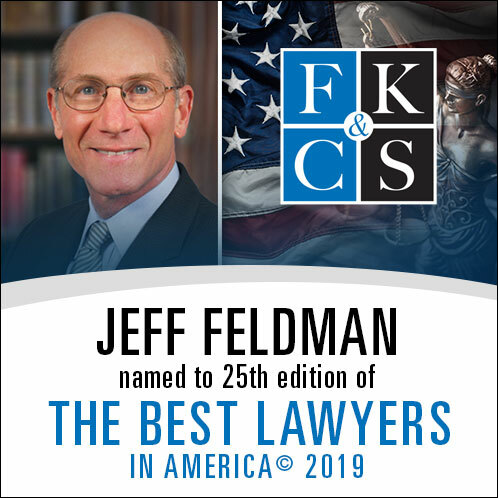 Jeffrey Feldman has consecutively been named to the Best Lawyers list since 2009 in the areas of Medical Malpractice Law – Defendants and Personal Injury Litigation – Defendants. For the 2019 Edition, 7.8 million votes were analyzed, which resulted in more than 60,000 leading lawyers being included in the new edition. Per the latest survey by the American Bar Association, there are just over 1.3 million practicing attorneys in the U.S.; using that statistic, less than 5 percent of practicing attorneys in the United States are recognized by Best Lawyers. Throughout his career, Feldman has been the recipient of countless legal recognitions, including being named as a New York State “Super Lawyer” every year since 2008. He has achieved an AV® rating with Martindale-Hubbell for 26 years, placing him in the top three percent of attorneys nationwide, and he won the 2016 Dutchess County Regional Chamber of Commerce’s Headliner Award for Leadership in Business and Community. Additionally, FKC&S was recognized by Legal Services of the Hudson Valley’s 2018 Dutchess Partners in Justice awards as an Advocate for Justice. Feldman is a member of the New York State Bar Association, the American Bar Association, the Dutchess County Bar Association, the New York State Trial Lawyers Association, the American Association for Justice and the New York Medical Defense Bar Association.